Dr. Richard Kirkpatrick received Bachelor's degrees in both Chemistry and Psychology from University of Washington (UW) in Seattle. Dr. Kirkpatrick also attended medical school at UW. After medical school, Dr. Kirkpatrick completed his residency at Mayo Clinic in Rochester, Minnesota. During his residency, he also completed a fellowship in Biomedical Communications at Mayo Clinic. Since 1976, Dr. Kirkpatrick has been a Longview internist. He first practiced at the Internal Medicine Clinic of Longview, and then joined Kirkpatrick Family Care in 1996 to practice medicine with his father, Dr. Neal Kirkpatrick and uncle Dr. Wendell Kirkpatrick. 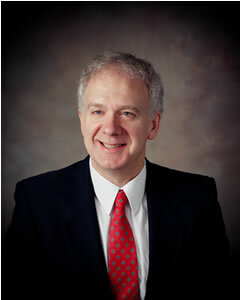 Dr. Kirkpatrick has participated in many activities outside of his practice. Dr. Kirkpatrick has written multiple articles, which have been published in prominent medical journals. He has frequently served on medical boards or committees; such as, he has served on the Washington State Medical Association's Membership Committee and the American College of Physician's WA Chapter's Governor's Advisory Counsel. Since 1978, he has hosted Housecalls, a medical talk show on local, public-access television and acted as team physician for local college and high school sports (football, basketball, baseball, wrestling, soccer, and tennis). View Dr. Richard Kirkpatrick's C.V.